Everyday we get photos sent in to us via Instagram. It’s actually freaking awesome – awesome to think that so many of you would take time out of your day to send us a photo that represents an experience you’ve had while exploring the backcountry. Although I appreciate every photo sent in – not all get featured on the MTNMOB channel. I have goals and expectations for the channel that I try to uphold. A few weeks ago I was feeling a bit discouraged that I wasn’t able to feature as many photos/videos as I’d like due to a handful of reasons – a big reason being quality of content. 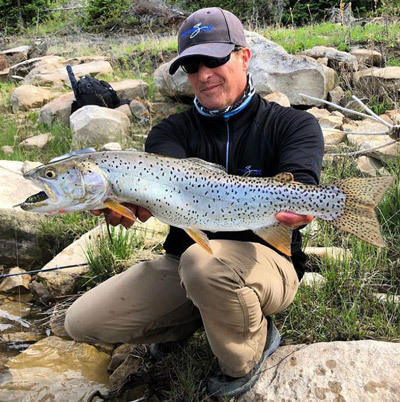 The thought hit me that if we desire to get a photo featured on a popular outdoor company channel, maybe we just don’t know what is expected of us? So I thought..well, that’s an easy fix. I’ll just go ask the channels to tell us what they’re looking for. 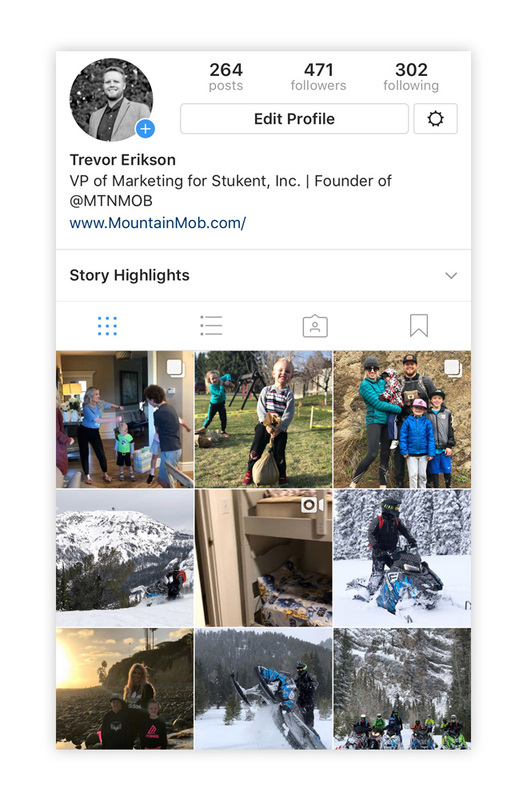 Of course, I could have simply shared a few tips on how to get featured on the MTNMOB channel (which I have below), but there are so many other awesome channels out there that can provide better advice than I could. Some of you reading this may think it’s silly that there are people who care so much about their photos getting shared on the socials – and that’s fine. However, some of you reading this love to share the content you create while experiencing the backcountry. It’s a way of telling your story about the passions you have for being outdoors. 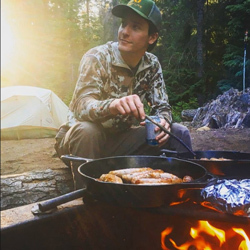 We could say it’s a way of adding value to the outdoor community as a micro influencer. Most of us are micro influencers – less than 1,000 followers on Instagram. You might get low self-esteem when talking about your Instagram numbers, but the reality is that a micro influencer gets more engagement (likes/comments) than those accounts with thousands of followers – sometimes twice as much. And if you’re able to chat with any brand about their social media strategy, you’ll quickly learn that it’s all about generating engagement within a community. So, if that’s the case – the case being that you’re a striving micro influencer – then you may just need a few tips on content creation. Are you naturally passionate about the products you use or just posting about products with the hope to get featured? Not only can consumers tell the difference, but so can we. 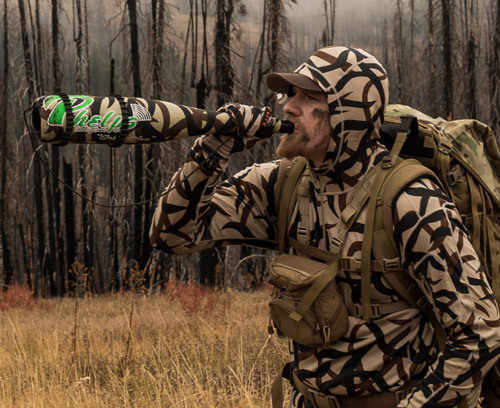 Posing with product in a squeaky clean camo outfit won’t get you noticed. 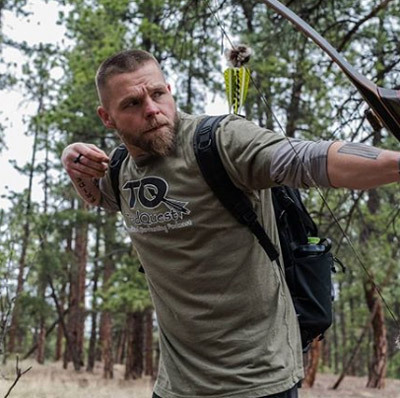 We want to see you outdoors getting after it, dragging our products through the mud, and tackling the terrain and environment no matter the conditions. Being true to who you are and what products you use to conquer the challenge ahead is vital to telling an authentic story that resonates. Be different and capture the moment. Try shooting photos at different angles – low, high, and even in selfie mode. Most importantly, tell a story through your image. Emotion is key, and product does not always need to be front and center. Wiping sweat or blood off your face and having a pair of binoculars on your lap tells more of a story then a guy holding binoculars up to his face in a staged “glassing” fashion. This is crucial to getting your content noticed. Every brand has their #hashtags, which are important to include in your posts, but not always noticed unless a social media manager browses the hashtag regularly. More importantly, tagging or @mentioning the brand in the photo itself sends a notification to the brand and places your content in their ‘tagged’ feed on their profile, increasing your chances of grabbing the attention of a brand. 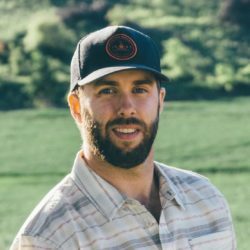 Scott is the Digital Content Specialist for Leupold Optics. Backcountry United is all about breaking down the barriers between human powered and motorized backcountry recreation. We are sledders, but we are also skiers, snowboarders, mountain bikers, climbers, campers, hikers, nature photographers, etc. With that said, it’s important for us to share a balanced mix of content and not polarize our audience to one recreation use. Ideally, we even strive to combine human powered and motorized pursuits to tell that human story. 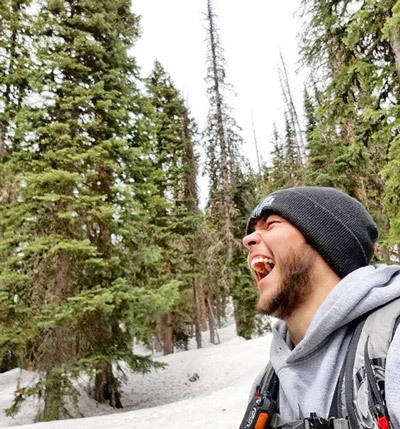 At Backcountry United, it is not our goal to be a rapid fire spamming of your Instagram feed. We are patient with content and want to make sure that we are putting quality first. Quality doesn’t always mean “image quality” but image quality certainly counts. Quality can also mean quality of story / context. We don’t post images just to post images. Our goal is authenticity, and accessibility for the common person to connect with our culture and activities. We never want to seem so fantastical that the common person can’t connect with our brand. And likewise, we don’t want to be perceived as amateurs just making iPhone pics/videos. The balance between “production value” and “candid” is key. If we as snowmobilers want to be regarded and respected, we as a community must give that respect first. So at Backcountry United, we aim to showcase content from families, females, and other backgrounds than our own to demonstrate a spirit that the Backcountry is for every single human being with an adventurous spirit. 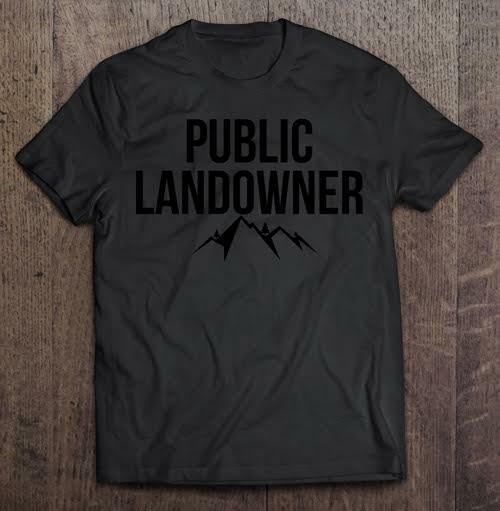 At the end of the day, public lands belong to all of us. It’s not just a place for us motorized folks to do whatever we want. We care deeply for our public lands, and we are tired of losing friends to avalanches. Help us reach people in regards to these pain-points and we will love you for it. We believe these issues could be solved if motorized and human powered cultures could work together and respect one another, and be considerate of how public lands access and avalanche potential are inter-related beyond our own pursuits. This is a hard story to tell, so we need help. 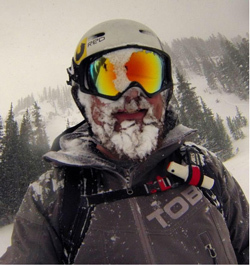 Jon is the founder and creative director for Backcountry United. We usually post photos we like of people using/wearing our gear. We definitely like the high quality photos, but we will also feature ones we enjoy. We just appreciate our customers taking the time to share content with us. We always love the high quality photos, but nothing specific. Aron is the CEO & President of Kifaru. 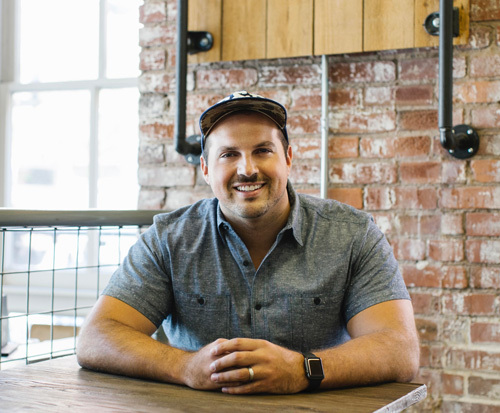 Jason is the founder and head chief at DJF. Sled USA is constantly searching for new content! As a brand, we find posts with our logo or products incorporated more captivating. Every company loves to see photos and videos of their products in action! We also try to look for high quality and unique photos. Posts that nobody has seen before. These unique posts seem to perform well and spike a lot of attention. Justin is the president of Sled USA. One of the objectives of Modern Huntsman is to embolden and empower hunters, whether you consider yourself a creative or not, in order to present hunting in the best way possible. In today’s age of social media, the greatest influence of any industry is the millions of people who create and share the content in that industry. This is called UGC (user-generated content) and it’s what modern marketing is all about. Brands and media organizations can do their part to stimulate conversation, but the power of relational trust that exists when people share photos and stories with their community transcends beyond anything that corporate America could imagine doing. That being said, the hunting industry has never really had a North Star, helping guide the millions of people in the industry towards how to create and distribute content, whether it be photography, films, or literature. We’ve been left with an over-abundance of stalking videos, kill shots, and content that is a poor representation of what hunting is actually about. In the world of social media, hunters often get one chance to communicate the hunting culture to non-hunters, and a bloody trophy buck in the back of a pickup isn’t the way to woo outsiders in. 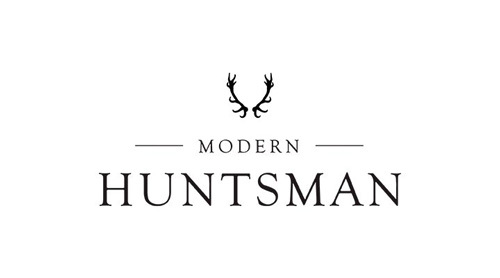 Modern Huntsman is designed to be a platform that starts to guide the industry toward creative ways to tell the stories of their hunting lifestyle with their followers on social media. One of the ways we do that is by showcasing imagery and stories on our social media channels and website. We get hundreds of images submitted to us every day via direct messages, emails, tagged photos, etc. To say the least, selecting the images to actually publish on our social channels, website, and our print publication can be quite daunting. However, there is a criterium that we follow in order to at least help us narrow down our selection. 1 – Image Quality – The photo, first-and-foremost, must be pleasing to the eye and enjoyable to look at. This sounds easy enough, but we’ve received thousands of photos with terrible image composition, poor lighting, dirty camera lenses, obstacles obstructing the shot, the list goes on and on. It doesn’t need to be museum quality, but it should at least be something your momma would be proud of. 2 – Wildlife Respect – We have made an intentional decision not to post kill shots on our social media channels, for the primary recognition that many of our followers may be non-hunters or very green in the hunting lifestyle. Seeing a photo of a dead animal will not inspire them toward becoming a hunter or even toward respecting hunters. In most cases, it will turn them away completely. However, if we do show a dead animal, it is always in an honorable, dignifying way, whether the hunter is kneeling over his kill, combing his fingers through the fur, carrying the animal over his shoulders or on horseback, etc. 3 – Creative Intelligence – This goes beyond image quality, and is often what differentiates the aesthetically pleasing images from the ones that make it on our channels. We look for creative ways that photographers have sought to really capture the feeling of the experience of the hunt, rather than the object of the hunt itself. This one is a little less tangible and actionable than the previous criterium, but it’s what separates a creative storyteller from a person with a camera. More often than not, we’re looking for imagery that evokes a positive emotional response, instead of just beautiful composition or a good photo filter. 4 – Life – At the end of the day, with everything we share, we want for people to feel the sense of life, not death. Everything we publish should ultimately be something that transcends beyond whether or not the viewer agrees with hunting, but instead, communicates the beauty of life, not the wound of death. 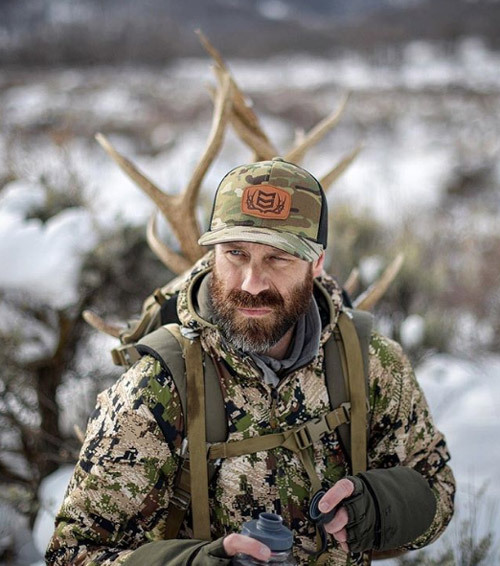 Brad is the founder of Modern Huntsman. It’s fairly easy to get recognized on our page – but I do look for certain parameters to get featured. A good & clear product image or video clip. Also, make sure the person we give a shout out to has respectable content on their page. Other than that, we love to promote enthusiasts that promote us – whether it’s a regular post or in our story. 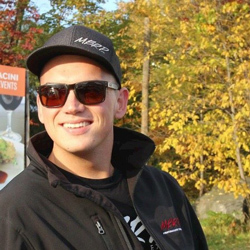 Jared is the MBRP Powersports Brand Manager. I would say that 3/4 of all the content that gets shared on the MTNMOB socials is user-generated content – content that is sent in to us. So there’s lots of opportunity to get featured! Send in ONLY high resolution images – no pixelation (blurry). Send in photos that tell a unique story. Send in action shots. A photo of you in the middle of a side-hill is much better than of you sitting on your snowmobile in the garage looking at the camera. Know your industry hashtags. 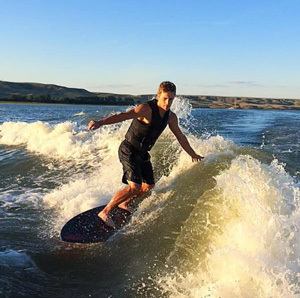 Example: send in content for #WapitiWednesday or #TipsUpTuesday. Look for unique angles. If you don’t know how to do that – go study up on some of the popular Instagram accounts and see which of their photos get the most likes/comments – then go create your own version. Follow MTNMOB and contribute to the community. Full transparency, I will be more forgiving of lesser quality content if I recognize you and know you’ve been hanging around the community – liking and commenting on posts. Your chances for a feature drastically goes up. This is just sound advice in general if you’re looking to build social relationships. Scroll through past content and see what we post – once you see the style and quality, send in even BETTER content! Send in a low resolution photo of a beat up snowmobile in a dark garage with no caption. Send in a blurry, low-resolution photo in general. Not following and/or engaging previously with us on social media, then sending in a mediocre photo and expecting we will share it. Send in an action photo of you hitting a jump on your snowmobile and getting relatively little to no air. No offense at all about the lack of space between your vehicle and the ground, it’s just that the community expects to see BIG AIR if you are posting a “send it” or “jumping” photo. Trevor is the founder of MTNMOB. 1 – Size Ratio: IG requires special consideration given the unique way in which images are displayed. We post 1×1’s (squares) 99% of the time so that photos appear in their entirety in the mobile grid view and on the desktop version of IG. This means that photos have to look good when cropped square. Some great images lose their power when cropped in this fashion. Similarly, other photos whose original composition may be a bit awkward can benefit from a square crop. 2 – Centered Composition: Though this is a bit of a taboo in other forms of photographic display, I personally feel that the small size of at which IG images appear lends power to images in which the subject is centered. I would estimate that 40-60% of our posts on a given week will feature a centered subject. Given the general prominence of the rule of thirds in photography, this often requires some significant cropping. 3 – Hashtags: Don’t throw up thirty hashtags. We always keep our posts to three tags or less. 4 – Process Shots: We are constantly looking for images that show under-depicted, but critical elements of a hunt. Process shots like cooking, butchering and setting up camp are great. On the other hand, grip’n’grins are nearly worthless. 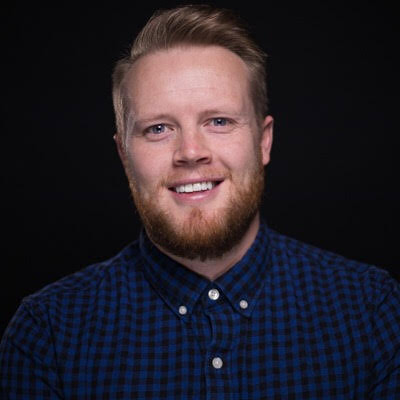 Ford is the Digital Merchandizing and Content Manager at First Lite. Things that we look for in terms of content includes images that show a genuine outdoor experience instead of heavily staged images. We strive to capture moments in beautiful scenery that translate into an outdoor experience that all of our followers can relate to, and live that moment through the person in the image. That could be a person hunting, fishing, at the gym, hiking, etc. As a photographer, I try to train my eye to see those moments during hunts. I wait for the moment and capture it as it happens. David is the Director of Photography at MTNOPS. Use and believe in the products. So many times we get sent photos of animals harvested without using one of our products. Take good photos. Companies don’t want to use photos out of focus, too dark or ones that aren’t very interesting. Don’t ask. Rather tag and hashtag the company you would like to get cognition from. We routinely search our hashtags and will take notice. Remember companies and popular pages get hundreds of Requests a day. You need to standout through your content. Be creative. Have fun and document your adventures. Don’t force pictures. The best material comes naturally, not forced. Jason is the founder and owner of Phelps Game Calls. We typical post customer field photos that show the pack in action, cool landscapes and/or animals. We don’t post many grip n grins or bloody distasteful shots. Pete is the Sales Manager at Stone Glacier. Being featured on any large account can be a tougher task then you would imagine. Wanting to gain more followers or have your work and talents displayed to a larger audience is a very common goal for most social media users. Some would say it takes a little bit of luck and good timing involved to be on the front page of your favorite Instagram account. Being the owner/manager of Sled_Headz, I look for some specific things when I sort through submitted photos and videos. Firstly, Quality Content doesn’t always mean you need to spend a lot of money to achieve an effective photo. Surprisingly, some of the most successful posts were taken from the camera on a smartphone. More goes into a great photo then just the background; composition can be your bread and butter when you understand how to utilize it. You know that pesky grid that shows up sometimes when you go to take photo? Well its not just there to look good, use it! Establishing a focal point and having a balanced photo is a crucial step in capturing that perfect shot. Intentional and straight lines are very attractive. Secondly, you should thoroughly study and take note of the type of photos those Instagram accounts post in order to peak the account managers interest. Observing aesthetics, photographic style, and the subject matter of the desired account’s photos is also key. Timing is Key! Submitting your photo when the desired account is active on Instagram is just as important as any other tip we can provide you. When an account posts a picture, they are almost always going to scroll through their likes, check through their submitted photos whether it is through direct message or a hashtag that is relative to their page, e.g #sledheadz. We consistently search our linked hashtag to see if there are any photos that stand out to us. Being at the top of this list has its advantage, as it will be one of the first photos we see. 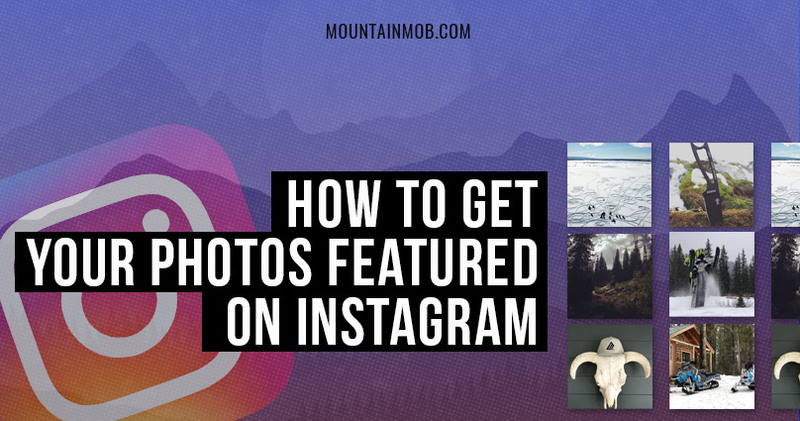 Follow these steps; and the next photo you take may end up on the page of that Instagram account you’ve always dreamed of being featured on. Greg is the owner/founder of Sled Headz. 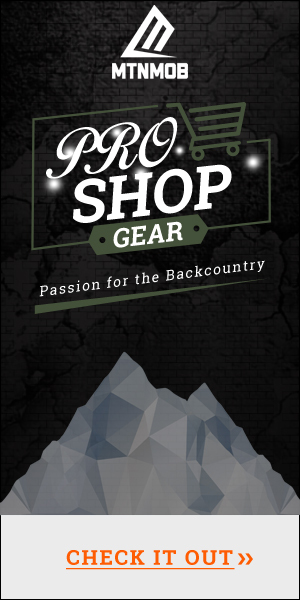 12 different backcountry brands shared various tips on how to get featured on their channels. Even though some of the tips directly applied to that brand/product, the strategy involved can be used for all photos looking to be featured. After interviewing the 12 different brands, I’ve come up with my top 5 takeaways on how to get your content featured on Instagram. 1 – Be authentic and don’t stage photos. 2 – Tag relevant Instagram accounts and be sure to use the proper hashtags for your industry. 3 – Be unique and creative – especially with your angles and shots. 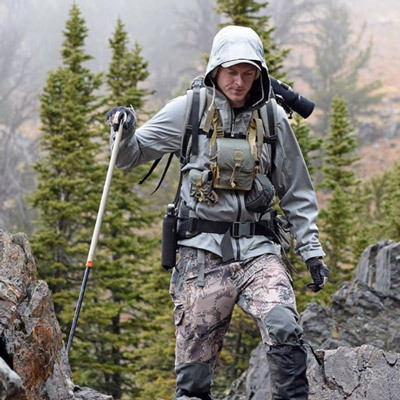 4 – Show respect to wildlife and backcountry in your photos and videos. 5 – Know the moments you want to capture like the back of your hand so when they happen naturally you’re able to capture them. 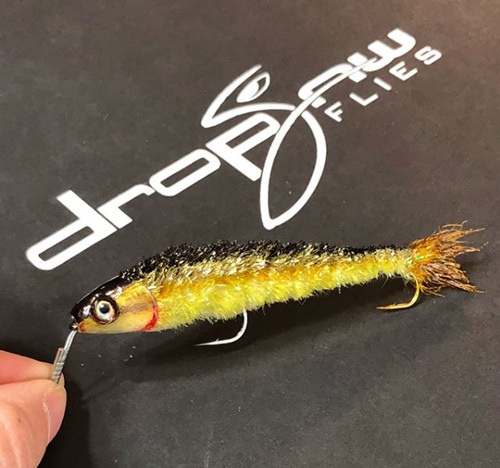 Do you have any of your own tips that you’ve seen work well? Share those with us in the comments below!